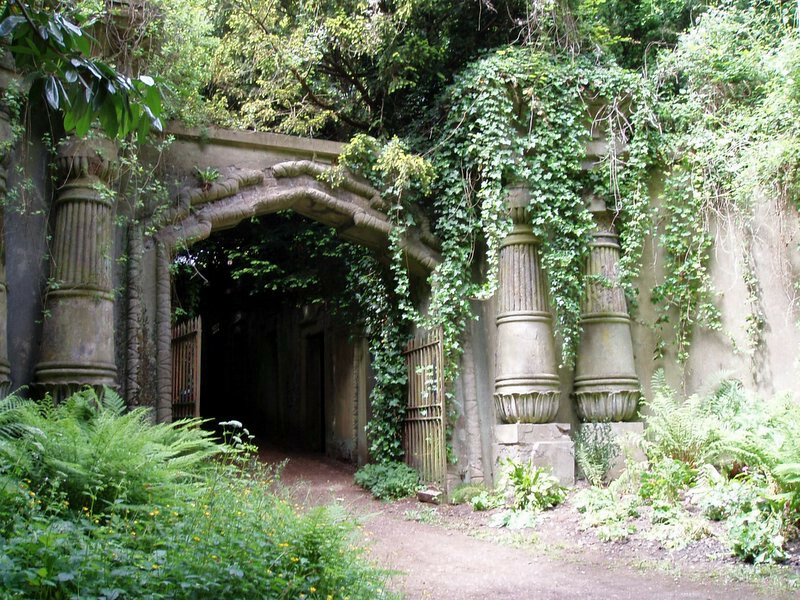 CC BY-NC-ND 2.0 © Vivian Lynch Highgate Cemetery is arguably the most beautiful cemetery of the Magnificent Seven. Highgate Cemetery was opened in 1839 in the London Borough of Camden, in north west London. 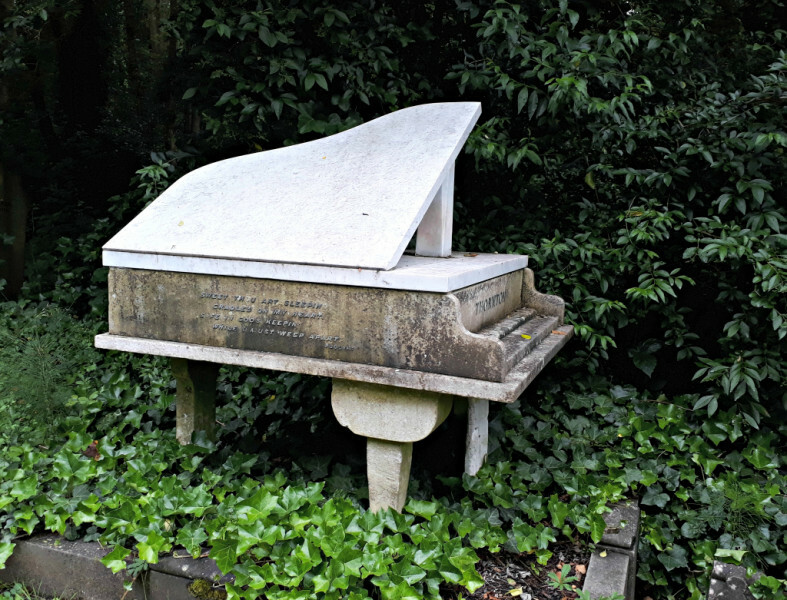 With its atmospheric paths winding through tombs, mausoleums, and vaults, Highgate is definitely London's most handsome cemetery. The Victorian burial ground is not only a nature reserve, but also a Grade I historic site, renowened for its elegance of funerary architecture and notable people buried here. Karl Marx, who died in 1883, was buried here, too. His tomb at East Cemetery is decorated with extracts from his Communist Manifesto. The West part can only be visited by guided tours, where you will also see Egyptian Avenue, an area that is architecturally inspired by ancient Egypt, the Circle of Lebanon with its historic cedar tree in its centre, or Terrace Catacombs, a catacomb for over 800 people who have died. In contrast, the East part of the cemetery is freely accessible. 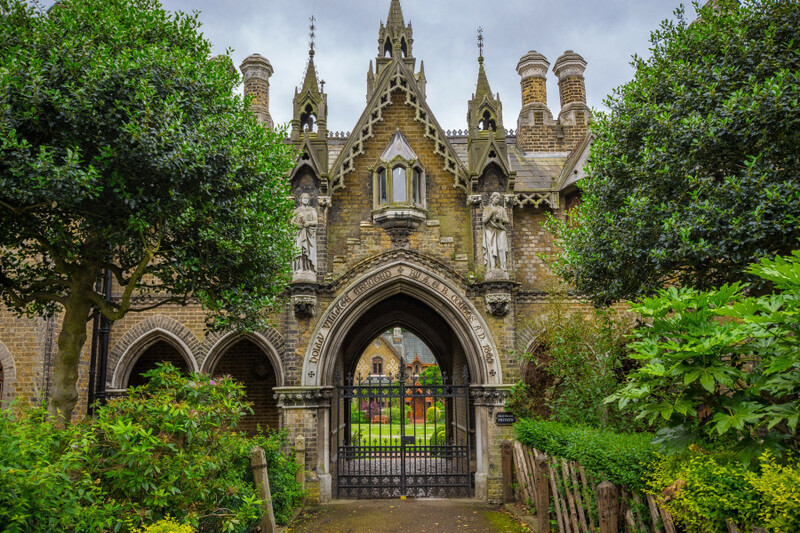 The Highgate Cemetery is located in London's Camden district. Take the Northern Line to the stop Archway and get off at the Highgate Hill exit. Then it's a 15-minute walk or you can take the busses 210,143 and 271 to Waterlow Park. There are also C2 (Parliament Hill Fields station) and C11 (Brookfield Park station) buses to the cemetery. There is no parking place for visitors on site, but there is street parking available.